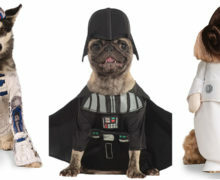 Interested in Star Wars costumes and replica props, as a collector, a builder, or even just as an observer? 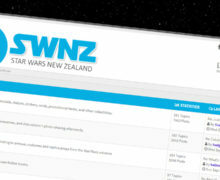 We’ve talked about the costuming clubs in New Zealand before (Star Wars Costuming in NZ), but if your enthusiasm is just as a hobbyist without a desire to join specific clubs, come on over to the Costume and Prop section of the SWNZ Forums. There is a lot of activity there at the moment (the message board format is ideal for conversations about projects that are ongoing over time), with build threads and “show-off” threads about costumes, armour, helmets, droids, and a number of blasters. 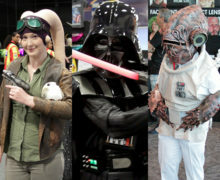 There are a lot of keen prop collectors and skilled prop & costume artisans around New Zealand, so the SWNZ forums are a great opportunity to network and get advice if you are just starting in this aspect of the hobby – or, if you already have a fun collection of Star Wars costumes or props, join in and share your photos!